Maine, the Pine Tree State, is a lowly populated and among the smaller states of the nation. The State is a natural beauty, which is acknowledged for its food and vivid landscape. The state has marched a long path on the road of development since 1820, when the state gained the statehood status. Missouri Compromise marked the ending of the era of District of Maine and Maine’s stepping in to US union. Maine State’s unemployment rate, being 7.4%, is relatively lower than the overall US employment rate. The economy is standing on basic sectors such as agriculture, transportation, tourism and manufacturing. The state has very good education system with lower percentage of private school to the public schools. The similar pattern can also be seen in medical and nursing field with operations been reviewed by Maine State Board of Nursing. What is the Maine Board of Nursing and its significance in development of Maine Health services? Maine Board of Nursing is the administrative body, which is primarily focused on safety of the Public health and related issues by effectively enforcing laws and policies for safe medical practice. Each and every board has to follow the guidelines specified by the NCSBN. The state board of nursing has to prepare charts and reports of their annual medical development and promotion plans, which are reviewed by the higher authorities. 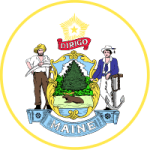 Remember, the Maine Board of Nursing members are appointed by the Governor of the state himself with coordination from Department of Health Services and State legislative Assembly. The significance of the board can only be determined and evaluated from reviewing the board functions and responsibilities. The Board is an organized association that works in collaboration with other health and medical councils & boards. The main purpose is to maintain and improve the standards of service in the state. What are the major responsibilities of the Maine Board of Nursing? Maine Board of Nursing is not only about safeguarding the public interests but the board has a much wider mission and scope. The board is responsible for setting up the standards for practice for each and every CAN, CMA, LPN, RN and APRN in the state. Licensing and certification of the applicants. Approval and denial of requests and applications related to nursing. Establishing the standards, rules and policies for safe medical practice. Acting against any complaint registered in the abuse registry.